The Queens Long Island Renal Institute (QLIRI), a new dialysis center located at The Parker Jewish Institute for Health Care and Rehabilitation (PJI), offers state-of-the-art treatment for PJI’s resident elders and people within NYC’s five boroughs and Long Island. 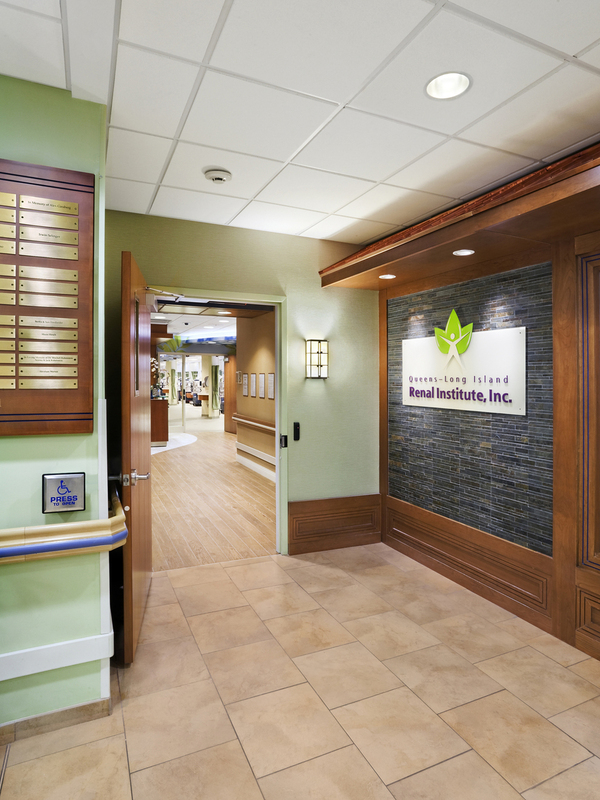 Recognizing the stressful, repetitive nature of kidney treatment and the lengthy time required for dialysis infusion, QLIRI presents a calm, healing environment within the primary treatment area, a welcoming reception/waiting room and comfortable staff areas. The interior design creates a sense of comfort and safety, with clear way finding and exceptional facility maintenance. All elements strive to convey and achieve the highest standards of superior medical care in a non-hospital like setting. 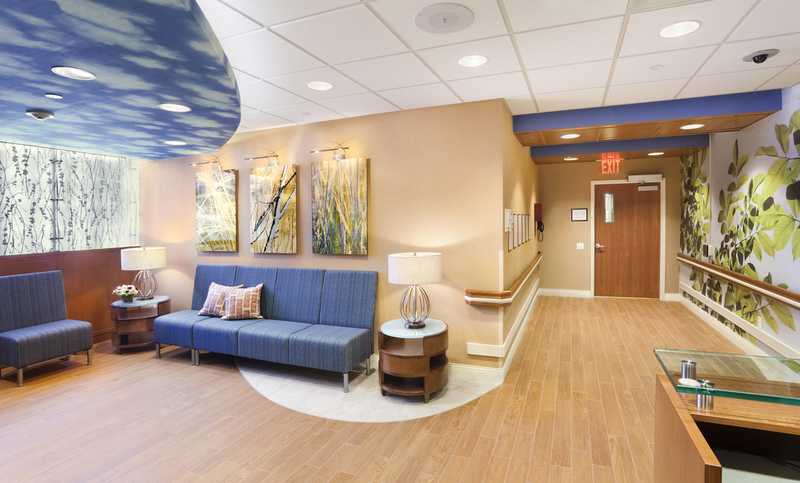 The primary design goal of QLIRI was to create a non-institutional, inviting, organic, healing environment that promotes life and encourages hope. Due to the architectural limitations of the existing facility, including spatial restraints and a lack of scenic views, the interior design goes beyond convention to suggest the feeling of being outdoors.